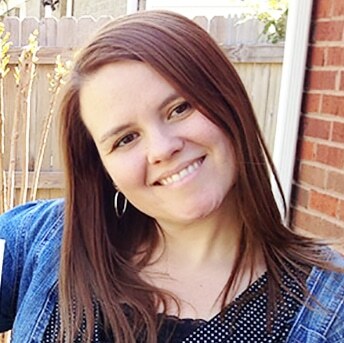 You don’t have to wait until Valentine’s Day to spoil the ones that you love, but I do enjoy having a day set aside specifically for the occasion. I still remember staying up all night the night before our school Valentine’s Day parties and making sure all the cards were sealed and the treats were wrapped. 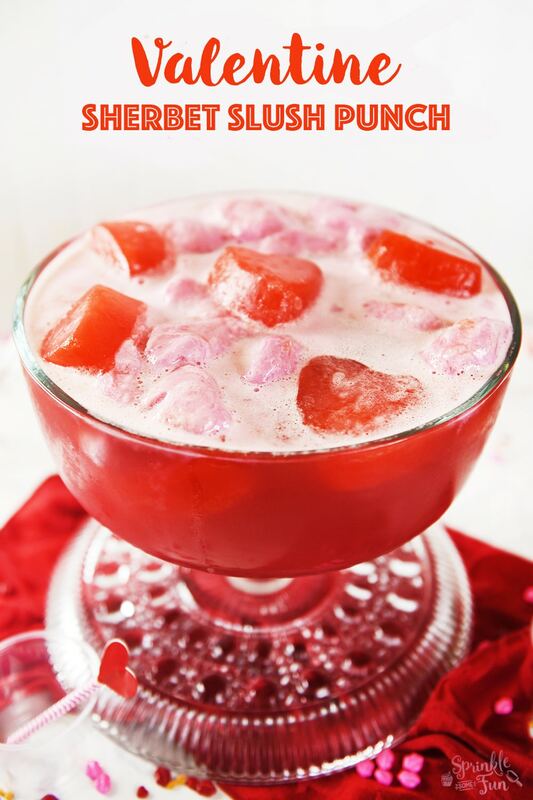 Now we celebrate Valentine’s day with special treats at home like this Valentine punch! 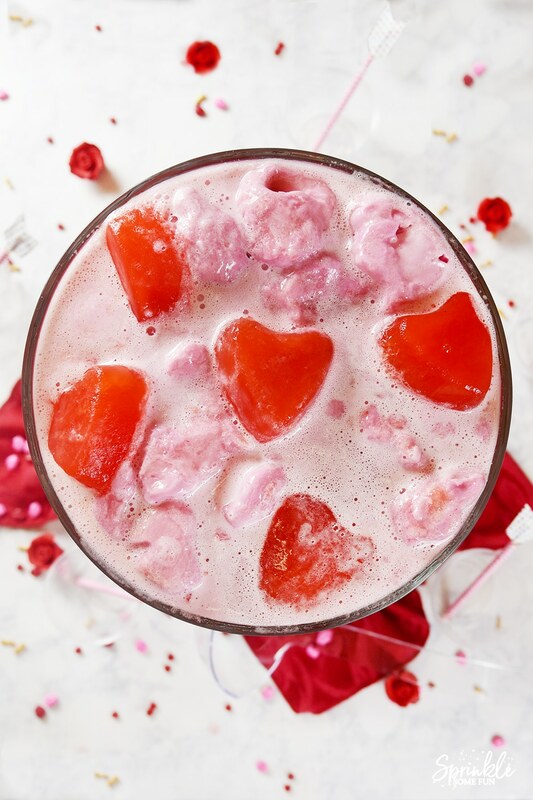 This Valentine Sherbet Slush Punch is red, pink and everything a Valentine Punch should be! 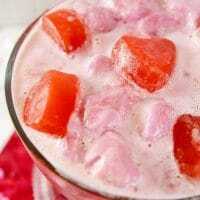 Everyone will love the creamy sherbet and the icy strawberry slush in this easy to make recipe! 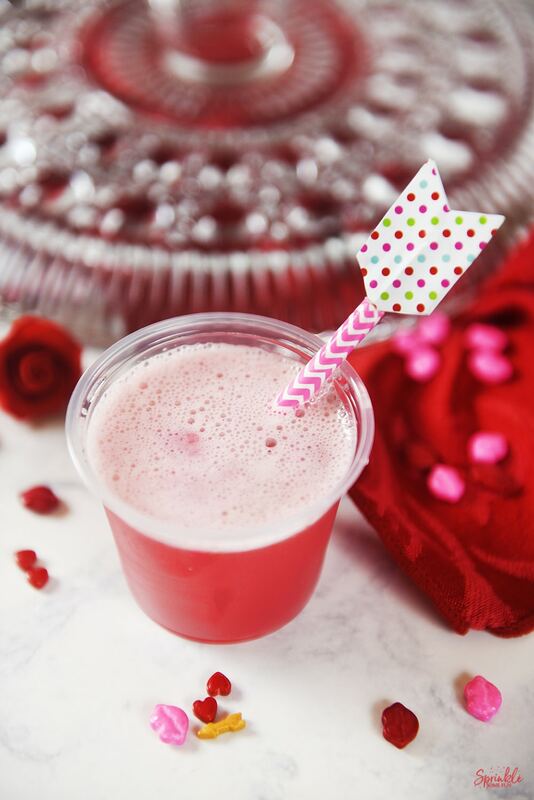 You can even use little heart molds to make the slushy part even cuter! The sherbet that I used is raspberry, but any pink colored sherbet will be fine. I think rainbow sherbet would be great too! The heart mold I used for the frozen slushy part is this one by Wilton. You can use any silicone or metal mold you want. 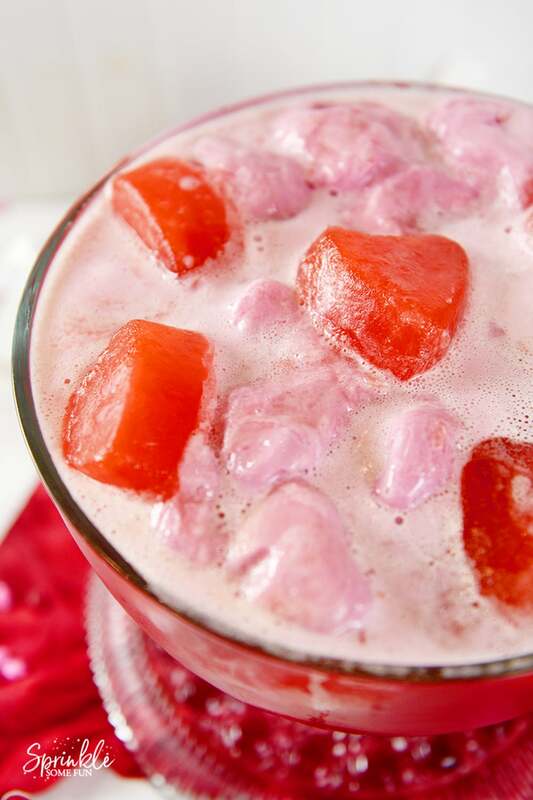 I think that smaller hearts like ice cubes would work even better! The recipe will make more slush that the molds will hold… so just use another pan to put the rest in since it will rest at the bottom of the bowl. The hearts are optional and for decoration! This was sooo good and mostly natural! We used a real fruit punch and natural strawberry jello. Feel free to change up the recipe for your own needs (flavors colors etc.) as long as you stick to the same ingredients. In a 4-qt. freezer-proof container, dissolve gelatin and sugar in boiling water. Stir in pineapple juice and cold water. If you are making some into heart molds then make sure to transfer some of this liquid to the heart molds. Cover all and freeze at least 6 hours. Remove only the frozen mixture that is not in the heart molds first for 2 hours before serving. 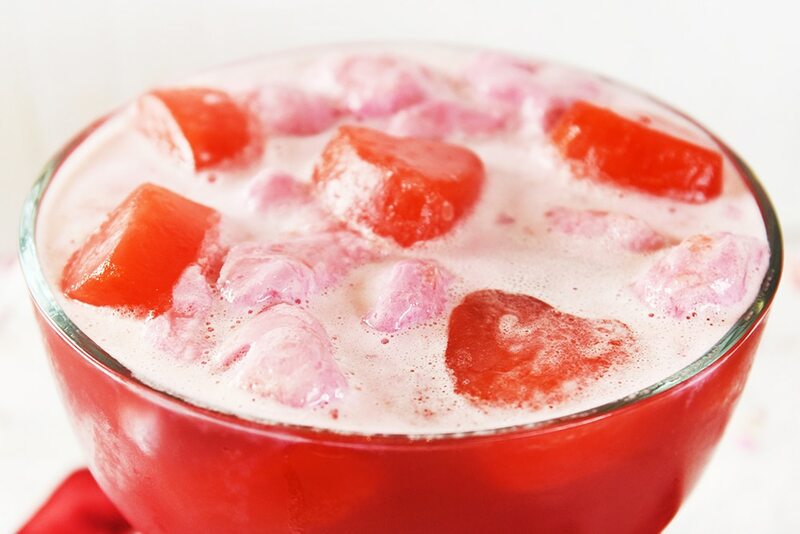 To serve: place half the mixture in a punch bowl (chill the rest in the refrigerator for serving later); stir ONE quart (half the bottle) of ginger ale, half the bottle of fruit punch, a few of the frozen hearts and scoop in just enough sherbet to cover the top of your punch bowl just before serving. Yield: 40 servings (about 6-3/4 quarts). This makes enough for a large crowd. Any leftover jello mixture can be frozen up to one month.